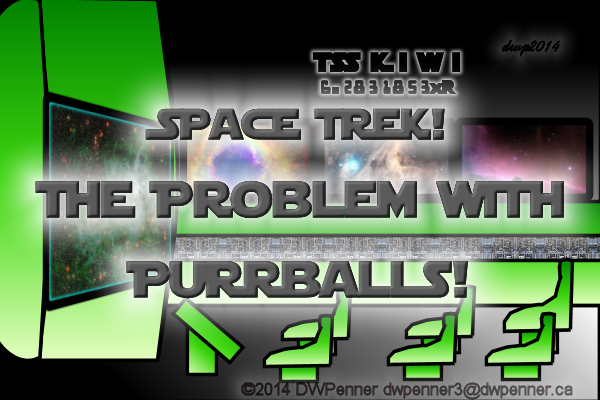 Oops, “The Problem With Purrballs!“. is starting tomorrow! I got excited and was thinking that it was Saturday (May 24th) already. See you there! This entry was posted in Cartoon Strips, Notes, Writer's Words and tagged Art, Cartoon Strip, Comic, Comic Strip, Darrell W Penner, DWP, DWPenner, farce, Gnome Tapestry, Gnomestead Tapestries, Gnomestead Tapestry, instalment, Problem With Purrballs, satire, science fantasy, science fiction, Science Fiction Farce, Space Trek, Tapestry, TSS Beaver, Wheel Tales of Willow City by DWPenner. Bookmark the permalink.